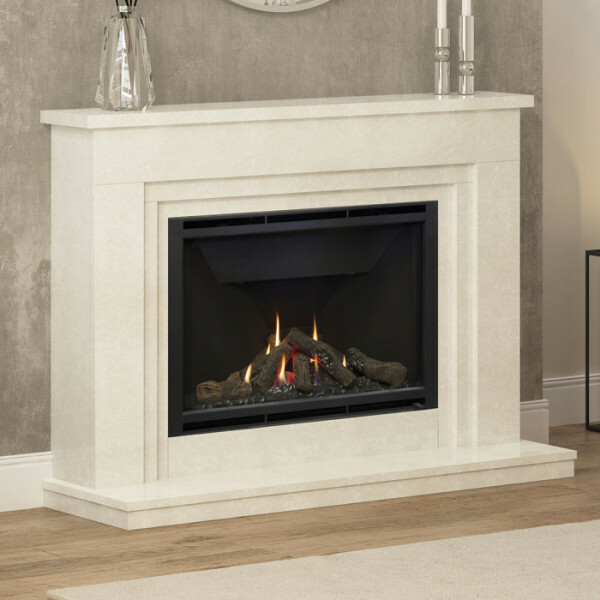 The Elgin & Hall Wayland Marble Fireplace Suite consists of the Wayland 52" marble surround in either manila or white micro marble, standard lipped marble hearth and an integrated 5.1kW high efficiency glass fronted gas fire. 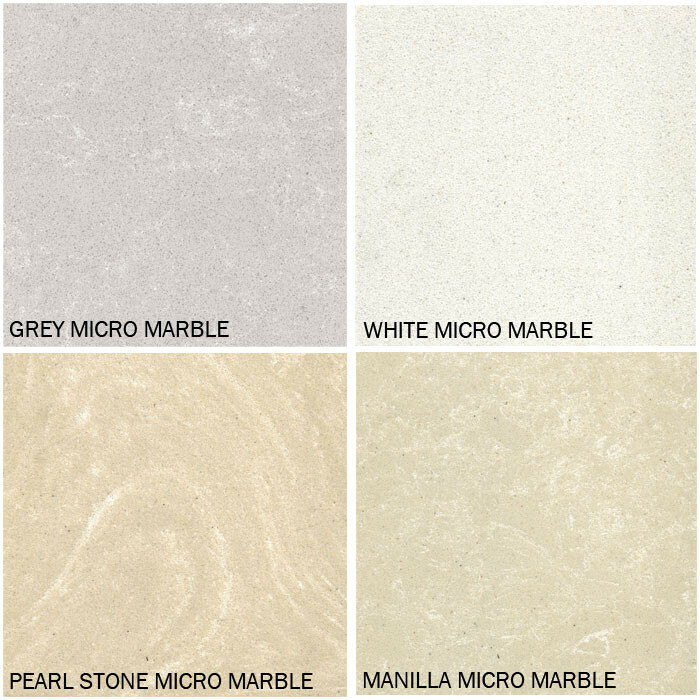 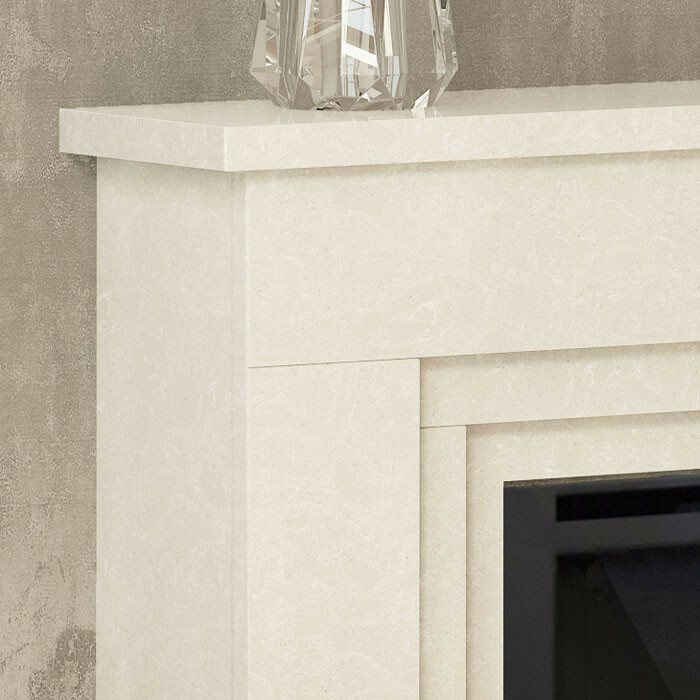 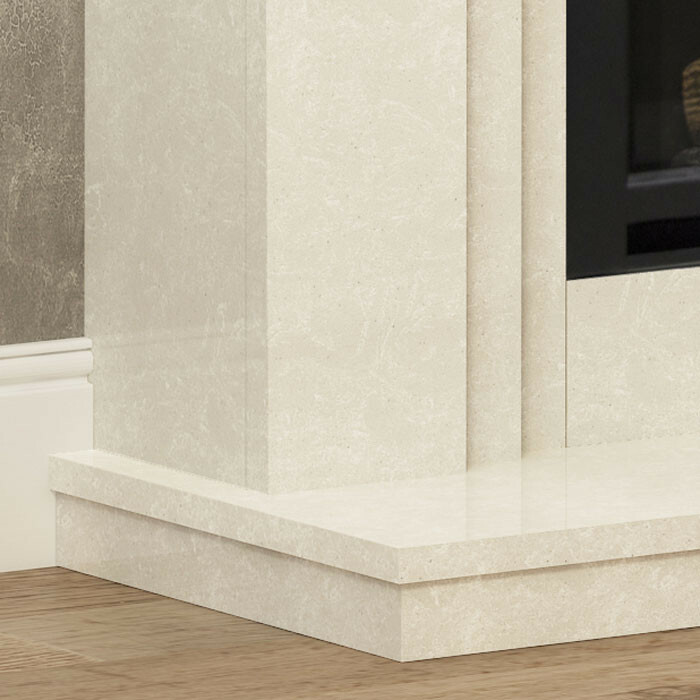 The Wayland marble fireplace suite comes in a choice of either manila or white micro marble which is finely crushed marble glued together with a resin to produce a glossy finish. 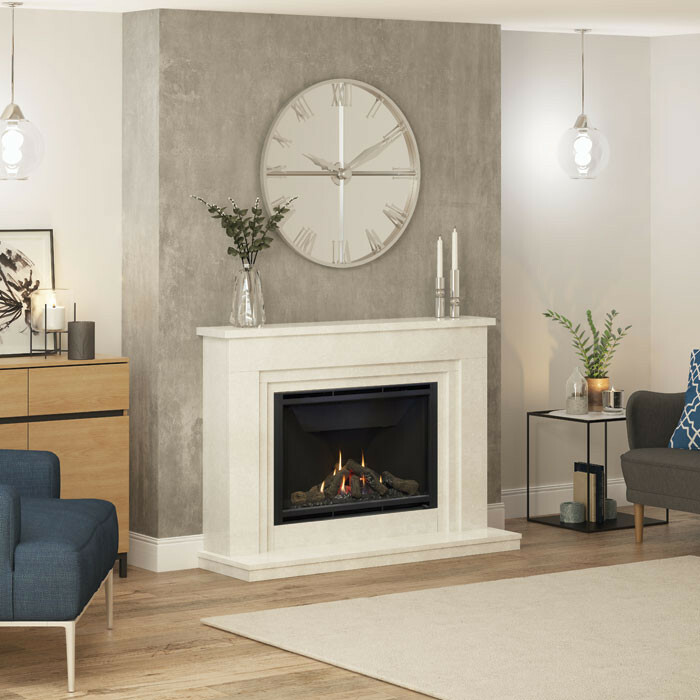 With an integrated 5.1kW gas fire, the Wayland fireplace can be installed on a flat wall with a standard chimney breast opening or pre-cast flue. This 950 widescreen fire has an impressive efficiency rating of 83% and uses manual controls to operate the various heat output settings.